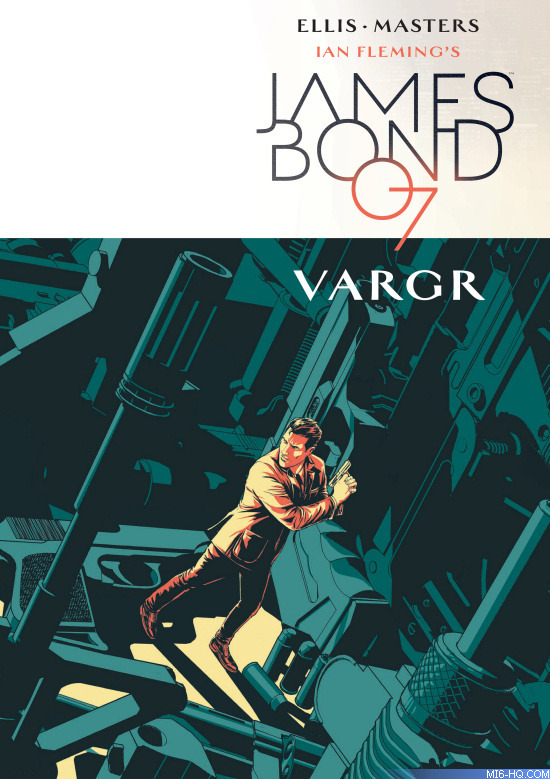 The first six parts of the new James Bond comic book series by Dynamite, titled 'VARGR', have been collected in to a graphic novel hardback and published today. After a mission of vengeance in Helsinki, James Bond returns to London and assumes the workload of a fallen 00 Section agent. His new mission takes him to Berlin, presumably to break up an agile drug-trafficking operation. But Bond has no idea of the forces ranged in secret against him, the full range of an operation that's much scarier and more lethal than he could possibly imagine. Berlin is about to catch fire... and James Bond is trapped inside. Dynamite Entertainment proudly presents VARGR, the debut storyline in the all-new James Bond comic book series, as crafted by masterful writer Warren Ellis (Transmetropolitan, The Authority) and artist Jason Masters (Batman Incorporated, Guardians of the Galaxy).